Just finished. They seemed to take forever! Probably because I didn’t work on them every evening so they took three weeks rather than the usual two. Anyway, they are now done. 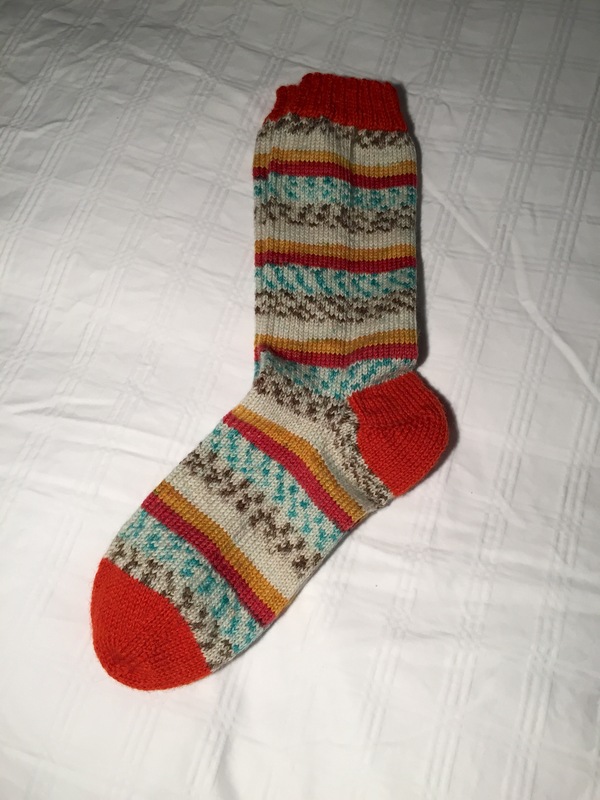 Usually I immediately start a next pair – no idle needles; but it’s now past midnight so new socks will have to be tomorrow….